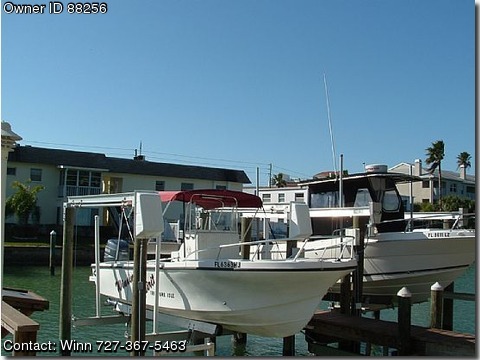 In addition to all of the standard eqpt Dusky gives this boat it also has: Trim tabs, swing back cooler seat, compass & VHF Radio, GPS, Depth/Fish finder, Live baitwell, Large Bimini Top, and a Drive-on Alum. tandem Boat Trailer. At cruising speed of 32 MPH it's very easy on fuel use. Great diving & Fishing boat.